Sister Salome Siebritz is a true South African hero who gave generously of her time to help two patients receive life saving kidney transplants. The post Nurse volunteers to drive patients 800km through the night for transplant appeared first on The South African. 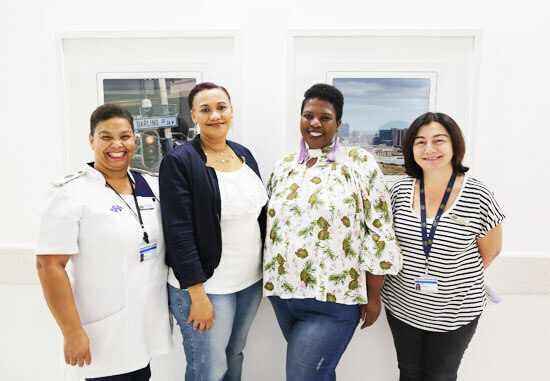 National Renal Care nurse Sr Salome Siebritz went above and beyond the duties of her Nightingale Pledge when she drove a pair of patients from Port Elizabeth to Cape Town in order to ensure they received life saving kidney transplants in March 2019. One of the patients, a young woman named Cally Williams has known Siebritz for the five years or so she has been treated at the NRC Unit at Netcare Cuyler Hospital in Uitenhage. With the last flight to Cape Town for the day set to take off a mere thirty minutes after the patients learned they were to receive kidney transplants, Siebritz selflessly volunteered to drive both patients the 800km to the Netcare Christiaan Barnard Memorial Hospital. Hospital staff in Uitenhage held a quick whip round to ensure Siebritz would have the petrol for the journey to Cape Town. “There was not a moment to lose, and I immediately phoned Cally to make travelling arrangements as I was concerned that she would miss this opportunity, and had decided that I would drive her to Cape Town myself,” Siebritz told netcare.co.za. Netcare’s transplant co-ordinator, Alexia Michaelides helped guide Siebritz through the Cape Town traffic and safely to their destination. Michaelides revealed that she too had a connection with Port Elizabeth and heralded the community spirit of the folks from the friendly city. (Left to right) Following the successful kidney transplant for patient Cally Williams, Netcare Christiaan Barnard Memorial Hospital enrolled nurse, Margaret Dankers who cared for Cally in hospital, is pictured with National Renal Care’s Sr Salome Siebritz; the patient’s aunt, Mercia Heilbron; and Netcare’s transplant co-ordinator, Alexia Michaelides. “It was critical for both patients that they reached the hospitals within the strict timeframe for the transplants to be viable. Thanks to the extraordinary efforts of Sr Siebritz and everyone who donated funds towards their travel, they were able to reach the hospital in time. I am also from Port Elizabeth originally, and there really is a strong community spirit among people from this part of the world,” Michaelides added. Mercia Heilbron, who is Cally’s aunt and primary caregiver was deeply moved by the efforts of all involved from Siebritz to the donor and their family. “My niece, Cally Williams, has been reliant on dialysis for many years after suffering kidney failure. She has been on the waiting list for a donor kidney since 2013, and when that telephone call finally came we were overcome with emotion. For our family, this was nothing short of a miracle,” she said. To register as an organ donor or for more information contact the Organ Donor Foundation on their toll free number, 0800 22 66 11, or visit https://www.odf.org.za.